Chris Forrester will be a key man in the Posh promotion push. Photo: Joe Dent/theposh.com. The Peterborough Telegraph have come up with a 10-point plan which will ensure Peterborough United win promotion. 1) Perm any two from Jack Baldwin/Michael Bostwick/Gaby Zakuani for the central defensive pairing. It’s a partnership that would be full of class, commitment and experience. Posh need to be rock solid at the back if they persist (and we hope they do) with their gung ho style of football. Marcus Maddison needs to start scoring for Posh again. Photo: Joe Dent/theposh.com. 2) Learn how to beat their closest rivals. The Posh record against the promotion-chasers in League One is frankly embarrassing. It’s possible Posh could still finish in the top six just by beating the weaker teams in the league, but it’s important for reasons of confidence to get into the play-offs knowing that you’ve beaten teams of the standard you will now be playing. 3) Posh must make sure they are still in touch with the top sides at the end of March. The last seven League One matches, with the exception of Barnsley away on a Tuesday night, all look very winnable. 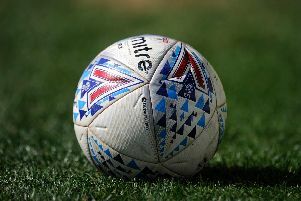 Posh could collect a bumper haul of points in April which could get them into the top six and ensure they go into the play-offs with momentum. 4) Find a position for Marcus Maddison and keep him there. Maddison was outstanding in the opening weeks of the season under the dour management of Dave Robertson, but he’s been in and out of the starting line-up, and used at left-back as well as in midfield, in recent months. He hasn’t scored since December 6 which is ridiculous for a man of his ability. 5) Get Callum Elder back to the club as soon as he’s fit. He’s the perfect full-back for the midfield diamond system. A direct runner with great crossing ability. Posh should bring Callum Elder back to the club when possible. Photo: Joe Dent/theposh.com. 6) Effective squad rotation. Certainly in forward positions, Posh now have enough squad depth to change half the team when faced with games on Saturdays and Tuesdays. It might improve the terrible midweek form Posh have endured this season. 7) Bring an attacking right-back in on loan. Michael Smith’s red card at Chesterfield emphasised the lack of cover in that position. Harry Beautyman did a sterling job as his replacement in that game and Jack Baldwin was decent there at right-back, but they wouldn’t offer the same attacking threat as Smith in a game when Posh have a lot of the ball. 8) Wrap Chris Forrester in cotton wool between games. The only alternative to the impressive Irishman at the base of the midfield diamond is Michael Bostwick and, while he can be destructively good in that position, the team’s passing flow would be disrupted. Forrester is a key man. 9) Sort out a Plan B. The midfield diamond is hard to play against when peformed well, but there is no element of surprise any more. Posh have the wingers to play 4-4-2 and the athletes to play 4-3-3. They might need a different formation before the end of the season so make sure it’s fine tuned and ready to go. 10) Persuade many of those fans who made the ABAX Stadium rock on Wednesday night to turn up for League One matches. The support for the West Brom game was immense. The players and management insist that level of support boosts performances.